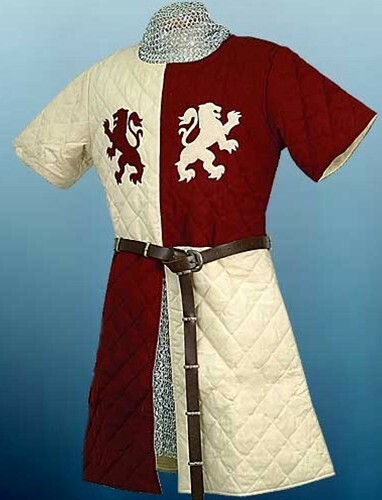 This striking Lionheart Gambeson was worn by both foot soldiers and archers in King Richard's army. Made of heavy, quilted 100% cotton, it is quartered in contrasting colors of off-white and deep red, with red and white lions rampant on the chest. Sizes S/M or L/XL (see size chart below). Dry clean only.